The XPC cubes are the first models in the Shuttle range to benefit from the generation leap forward to Intel's latest processor models with a 14nm architecture (Coffee Lake). 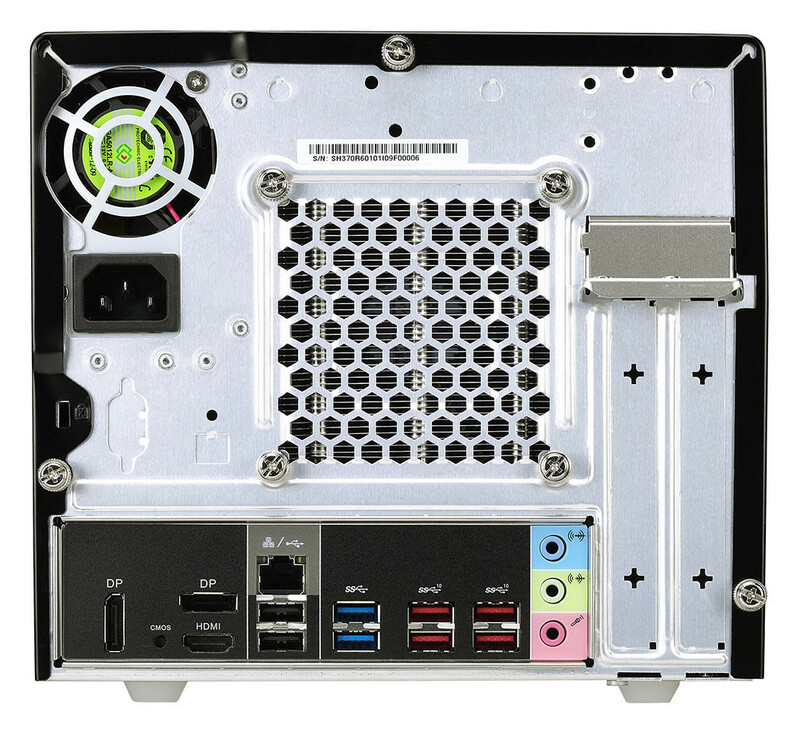 The SH370R6, which is designed for home/office/workstation use, features the latest technology and offers faster working along with reduced energy consumption. There was a conscious decision to rely on the proven R6 chassis design once more. 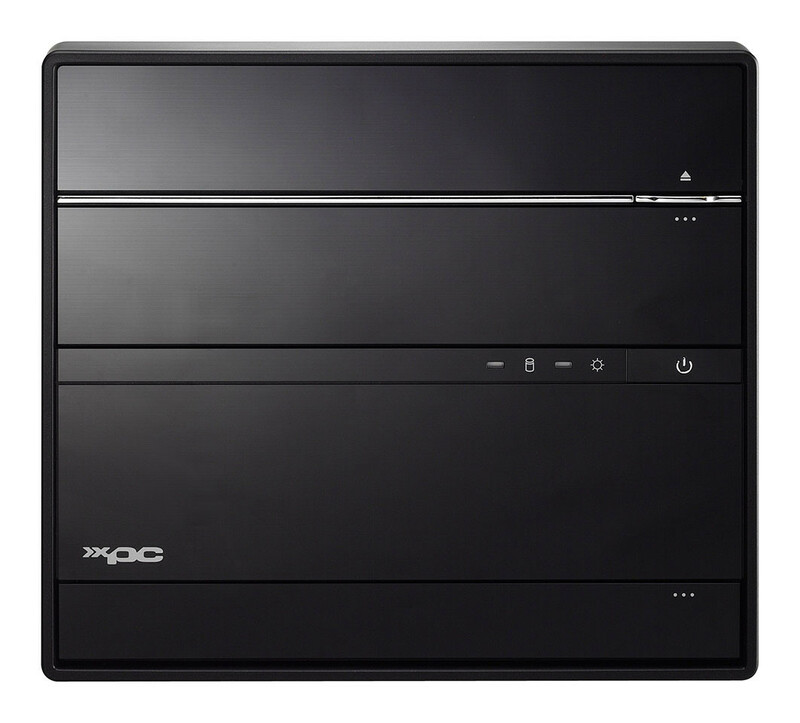 The XPC Barebone SH370R6 features four slots for DDR4 memory modules which can accommodate an overall capacity of up to 64 GB (4x 16 GB). DDR4-2666 memory can be used here for the first time - ideal for resource-hungry applications. The choice of processors comprises Intel Celeron, Pentium, Core i3, Core i5 and Core i7-CPUs of the 8000 range for socket LGA1151v2 with up to 95 Watt of TDP. "We are delighted that we can now also offer our first Barebone for Intel Coffee Lake processors in Europe," announces Tom Seiffert, Head of Marketing & PR at Shuttle Computer Handels GmbH. "The XPC cube format still wows people even 17 years on from its introduction." 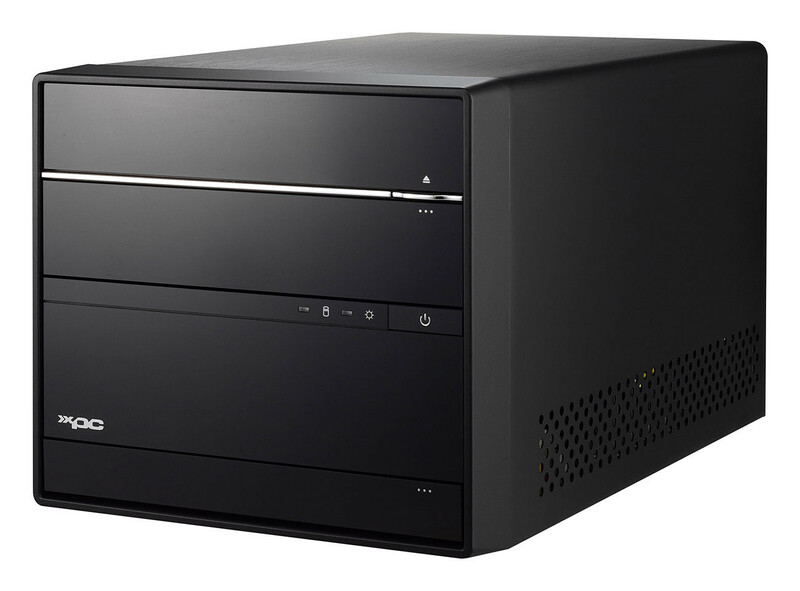 The black aluminium chassis, which measures 33.2 x 21.6 x 19.8 cm (DWH), offers space for four SATA drives, including an optical 5.25" drive. Furthermore, one PCI Express x16 3.0 slot and one being PCI Express x4 3.0 are available for expansion cards. 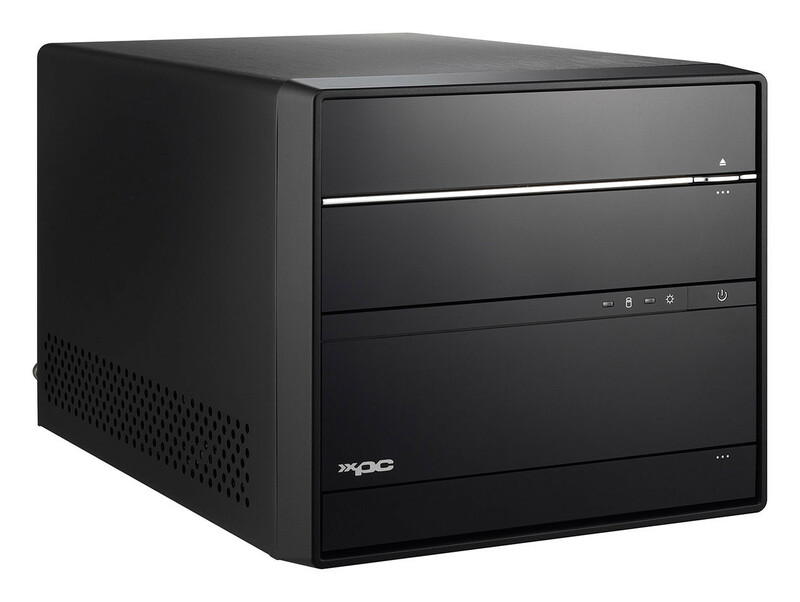 Two M.2 slots can also be fitted with a WLAN module (M.2-2230) and an NVMe SSD (M.2-2280), for example. Optionally available accessories are a Wi-Fi/Bluetooth module (WLN-M), an RS-232 port (H-RS232), an installation frame 1x 3.5" to 2x 2.5" (PHD3) and the 500 Watt power supply unit (PC63J). That would be quite a beast. From time to time I consider moving my main rig into a smaller chassis. But every time I remember I like working with a roomy one better. Sure, I only go in there once or twice a year, but not having to care about clearance is a nice feeling. At the same time, different people have different needs so there's room for these as well. there are more advantages of having a big case after all. But I would still practice good cable management just to make sure airflow is good & looking aesthetically good at the same time. My main rig is in a full tower (Fractal Design Arc XL) and I love the space. Lots of room for everything. Main reason was having SLI builds over the many years, the extra room for everything to be spaced out helped with temps. I eventually cobbled together parts for a plex/htpc build and I ended up moving one of my 980Ti to the computer, but I needed a smaller case that would fit a 13" long card. You don't get too many options for a smaller case able to hold a 3 slot, 13" Zotac AMP! Omega card. I ended up picking up a Cooler Master HAF XB Evo. Even with a modular PSU, cable management is certainly tougher, but most of it stays hidden under the MB. I honestly have to say that I've been thinking hard about picking up a second HAF XB Evo case and moving my main rig into it. The Evo case keeps things cooler over what my full tower does. Running games on the HTPC the GPU doesn't break 55C. Running games on my main rig, GPU generally doesn't break 70C. I found that there are advantages to both cases I have and while I really like the roomy, full tower, the fact the system stays a lot cooler in the XB Evo really makes me reconsider things for my next build. I'm sure a little bit of added air flow would fix your temps. But if you like those cases, go for it! Edit: I just looked up that case, it may be something I could use. I need to look at the measures (of the case and my desk) more closely though. all in all, as long the airflow paths are not obstructed, keeping things cool isn't an issue from there on. They have looked like that over ten years now, so it's actually very dated design. Though I haven't touched XBCs since Athlon 64 X2 and socket 939 era(they looked exact the same past then)... So maybe innards are not those claustrophobic anymore.